In 2001, Luxury Bath of Raleigh opened in the Triangle area and we've transformed over a thousand bathrooms for families of all shapes and sizes. No matter what kind of Cary bathroom remodeling service you require to complete your home, you can depend on our experts to provide the comprehensive solutions you require. From a tub liner replacement to a full-scale renovation of your entire master bathroom, we'll create the custom Cary bathroom remodel that fulfills all of your needs, looks beautiful, and stays within your allotted budget. 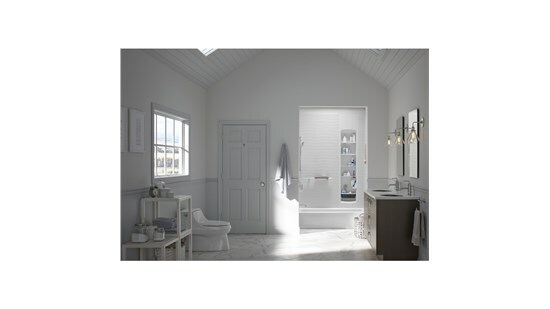 With over 50 years of combined experience paired with a dedication to quality, you can have peace of mind that your Cary bathroom remodel will be world-class. As members of the National Kitchen and Bath Association, we stay current on the latest developments in the remodeling industry so you can enjoy a bath remodel of the highest caliber. Transform your home today and increase its value by opting for a bathroom remodel that will look beautiful for many years to come. Contact Luxury Bath of Raleigh today to get started on your bathroom remodel in Cary. Call us to learn more or fill out our online form to request your free, in-home and no-obligation estimate and consultation.